An oversized painting of a Coca-Cola bottle created by pop artist Andy Warhol may fetch up to $60 million at a Christie’s auction in NYC on Nov. 12. 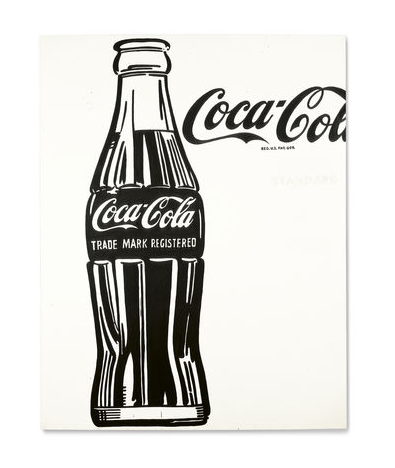 Unlike many of his other creations, Warhol painted the black and white soda bottle by hand in 1962. In 2010, hedge-fund mogul Steven Cohen shelled out $35.4 million for a similar Coca-Cola bottle painting created by Warhol.